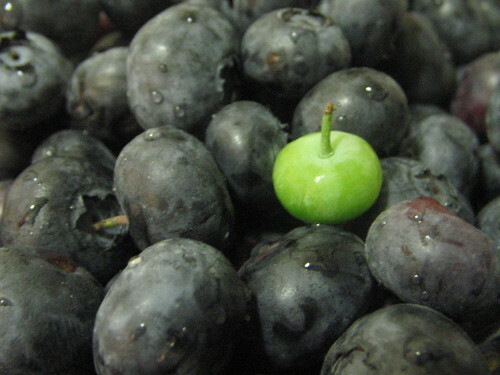 It’s a green blueberry! That means it’s not ripe yet. Should I eat it? It doesn’t look berry sweet. No, you might turn green!